Entitled menchildren in the National Football League spark renewed attention to the epidemic of domestic violence and child abuse. Brave young women speaking truth to power demand action to halt sexual assaults on college campuses. Pioneering profeminist men from around the world gather in India to engage men and boys to promote gender equality. In the ongoing effort to transform manhood, the pace has been accelerating. From the White House to the 50-yard line, from Kolkata to Cape Town, the call for men to change, to be allies with women in the work of ending gender-based violence and redefining manhood, is growing louder. From the Obama administration’s ItsOnUs campaign to the Emma Watson–supported United Nations’ HeforShe, opportunities are also growing for men to add our voices to the global conversation about men and masculinities. By the time summer ended, I was feeling the need to slow down, to reflect on what’s been unfolding on the dizzying, windy road to gender justice. I got my wish to decelerate on the weekend of the autumn equinox. I had been invited to participate in a weekend gathering at the Omega Institute, whose women’s leadership conference for the first time in its 12-year history included men. “Women and Men: The Next Conversation” drew hundreds from across North America and beyond on a quest to better understand contemporary efforts at fostering gender equality. And, not long afterward, I would be en route to India, as a delegate to the second MenEngage global symposium, “Men and Boys for Gender Justice.” With active chapters on every continent, several hundred MenEngage delegates, and other men and women allies from some dozens of countries, would spend four days learning from one another and strengthening the ties in the global movement to engage men and boys to promote gender equality. One afternoon I attended a break out session on gender reconciliation. In a meeting room magically transformed into a sacred community sanctuary, skilled and sensitive facilitators Rev. Cynthia Brix and Will Keepin of Gender Reconciliation International—working with gifted staff from the U.S., South Africa, and Colombia—created a safe space where participants could examine gender injustice and healing. Indeed, campaigns to recruit men to challenge violence against women may be ultimately more successful if men feel connected to their own personal understanding of gender injustice. That connect-the-dots kind of thinking is reflected in the work of Australian researcher and activist Wynne Russell. In a workshop she was scheduled to conduct at the symposium in New Delhi, Russell planned to describe a heretofore-underacknowledged population of potential gender justice activists—male survivors of sexual abuse. 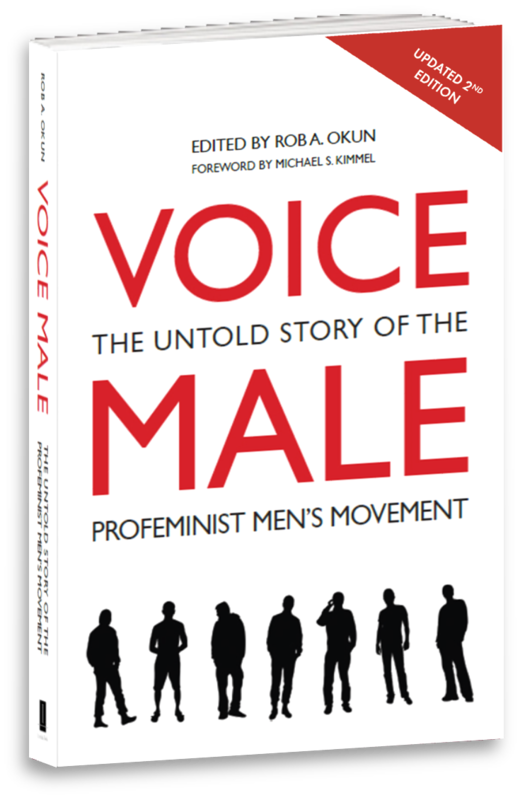 “All male survivors of sexual violence,” Russell says, “have the potential to be natural allies in the global quest both to end violence against women and girls and to work for gender justice.” (See her moving article, “Male Sexual Violence Survivors: Newest Activists for Gender Justice?”. What will be the next conversation between women and men? A series of ongoing conversations. Omega’s weekend in upstate New York was one such gathering; the MenEngage convocation in New Delhi another. Next March, the Center for the Study of Men and Masculinities is hosting its inaugural conference in New York. Today, there are national, regional, statewide, municipal, and kitchen table conversations, too; they’re happening in cities and towns around the world. Men and boys on every continent are deconstructing the “man box” that seeks to constrain us. Some are taking the walls down one at a time; others are working to knock down the whole structure. Whatever the approach, the aim is the same: to transform our ideas about boyhood and manhood, fatherhood and brotherhood. Long before the Omega conversation began, and long after the MenEngage Delhi symposium ended, a decentralized global recruitment program to recast masculinity has been at work. It’s lacked a tagline. Perhaps now is the right moment to appropriate the 200-year-old U.S. Marines marketing slogan: “We’re looking for a few good men.” Will you join us? Rob Okun can be reached at rob@voicemalemagazine.org.